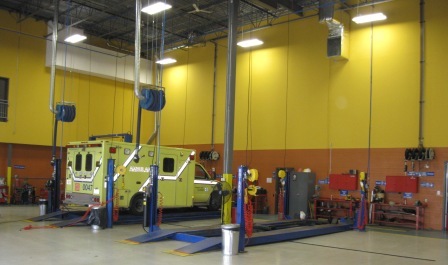 Preventive maintenance services and inspection. THE PRACTICAL AND PROFITABLE BEST SOLUTIONS ADAPTED TO YOUR PROJECT. EQUILUBE INC. is a family company has many years experience in the automotive industry specialising in workshop design, workshop fifout, equipment supply, installation and service. More recently, the company developed a residential and commercial customers network offering various services of supply, install and maintenance of your Generator. Following extensive consultation with you, Equilube will design your new workshop and service deparment maximising the available space and resulting in a practical, functional and efficient solution. Furthermore, Equilube will assist the architect to ensure that all requirements are met uin relation to power specifications and suitable locations for all relevant vehicule hoist, lift, compressor and general workshop equipment. We are the best alternative for Constructeur of formwork, owner of Dealer and garage of mechanics, to indicate and install resourcefulness surface, oil, tank, the distribution and the control of liquids while offering for them and the environment the best conditions with the less harmful use of the products thanks to our policies of improvements continuous. To be recognized by our customers, by the excellent one of our products and service of installation, maintains garage for dealer and companies of maintenance of car, using a computing system, the equipment, the materials and modern tools to give to Équilube opportunity of offering to its customers products and high quality services. Our products respect all the standards in force and we are member of ULC, SCUMS, TSSA & DOWRY. Our efforts are to work strictly with the customer so that it can determine his specific needs and be able to make the best choices for his application. We make you our priority. We offer smart and simple financing solutions tailored to your needs. We recognize that each customer is in a unique situation. Whether it's to help you buy your first equipment or replace old equipment, we have flexible alternative solutions to help you achieve your goals. Because we are completely dedicated and at your service. Get personalized service and a hassle-free customer experience. After all, the final decision still belongs to you. Is Your Generator Ready For The Next Power Outage? Equilube offers you the annual and seasonal maintenance to your generator. It is important to make the preventive maintenance to your generator and to follow the recommendations of the manufacturer. Just remember, you are paying for a professional quality service by a factory certified dealer / technician while using factory authorized parts and that is what we provide. Why purchase a maintenance contract? - Regular maintenance allows trained professionals to detect minor problems before they turn into major repairs. - Time corrosion and fatigue play havoc on belts, hose, batteries and fluids. Inspections by our qualified Technicians can limit down time by adhering to recommended preventive maintenance schedules. - A maintenance contract can be tailored to satisfy CSA-282 requirement. - The best protection for your standby power system is a maintenance contract carried out by our factory trained personnel. - Regular maintenance is required to validate manufacturer Warranty. Mobile Link cellular remote monitoring lets you get and share information about your home standby generator. Access important information such as current operating status, maintenance schedule, historical information and more directly from your smartphone, tablet or computer. Simply install the Mobile Link device on your generator and create your account. It's that easy! 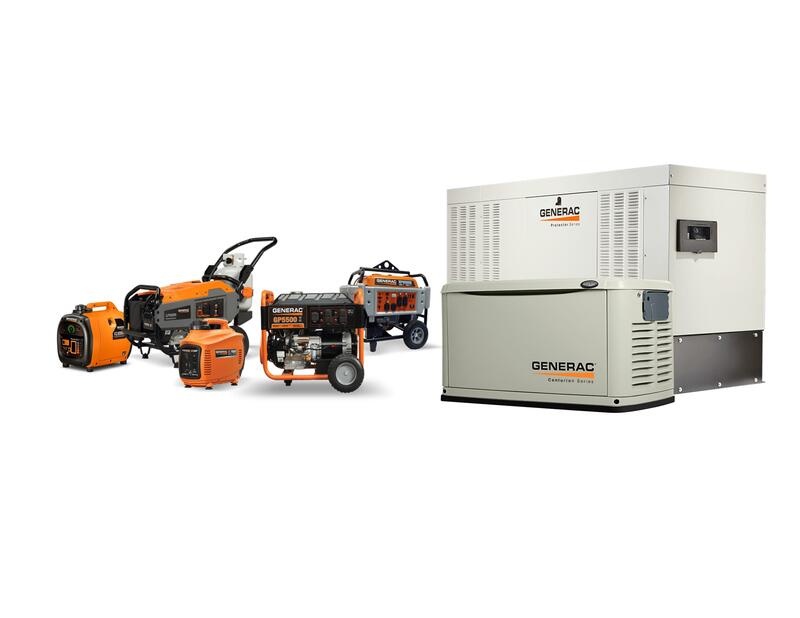 With as many as 90 percent of all home standby generator Generac installed running on liquid propane (LP) fuel, homeowners need to ensure that their LP tanks have enough fuel in them to support the generator's fuel consumption during a power outage. Running out of fuel is as bad as not having a generator at all. Tank Utility TM, marker of the only homeowner-friendly solution on the market for monitoring LP tank levels with a smartphone. - The Tank Utility monitor eliminates all guesswork about keeping your LP fuel tank full to support your generator as well as your other appliances. 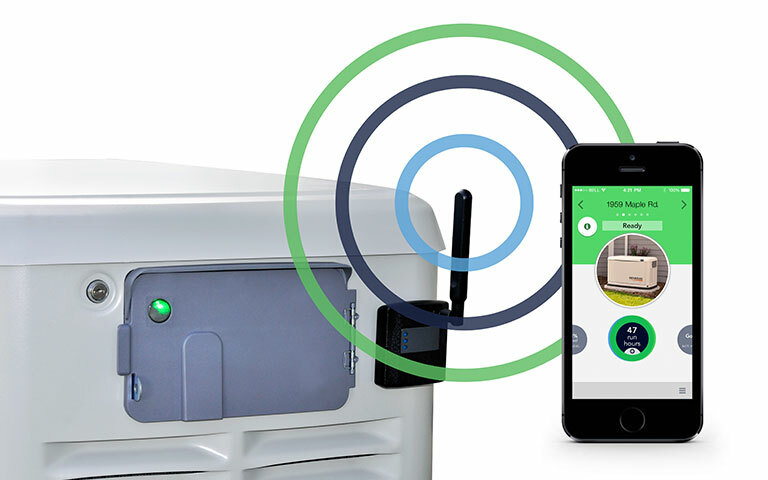 - The device connects to the internet via the home's existing Wi-Fi network and is configured via the Tank Utility app. - In short order, the homeowner will have access to their fuel tank level, which is automatically updated every six hours. With the app, users can configure alerts so that they are notified when their LP tank is running low - in plenty of time to do something about it, no matter where iin the world they may be. Adequate upgrade of your existing standby generator can significantly enhance your backup power systems overall reliability. Standby Generator Upgrade & Trade-in Options. We provide upgrade and trade-in options for oversized, undersized, obsolete or faulty standby generators. This helps you recover some value on old generator when upgrading to a new product. Contact us to discuss the best standby generator solution for your requirements. Equilube can supply and install all necessary equipment and components in addition to customized manufacturing. 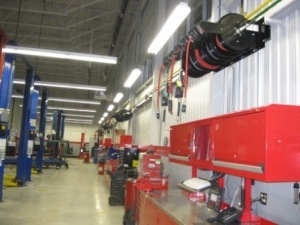 We provides successful dealer principles and workshop managers with cost effective solutions to their service department. The complete workshop is what we do best. You can trust the design, supply of equipment, installation and commissioning of your service department equipment to the dedicated team of experts at equilube. 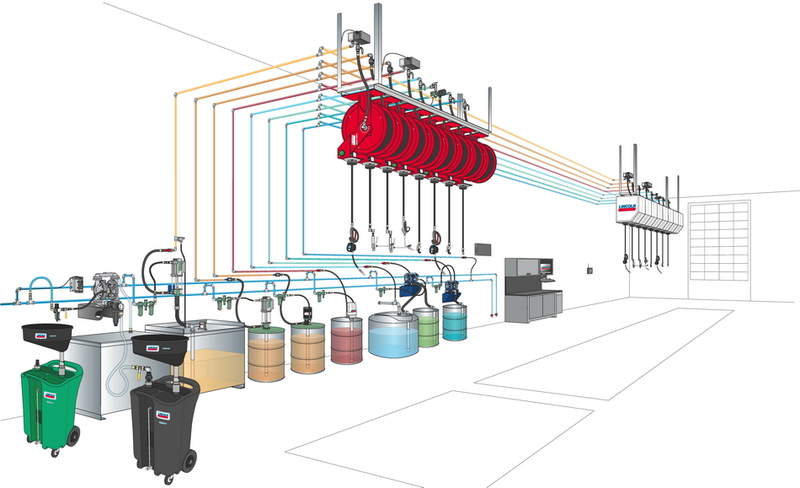 Compressed Air, Oil delivery, Water, Waste Oil, pumps, hose reels, wash bay equipment and electronic oil meters. Bulk waste and new oil storage requirements manufactured to suit your specific space and volument considerations. Single or twin skinned, any volumen and size required. 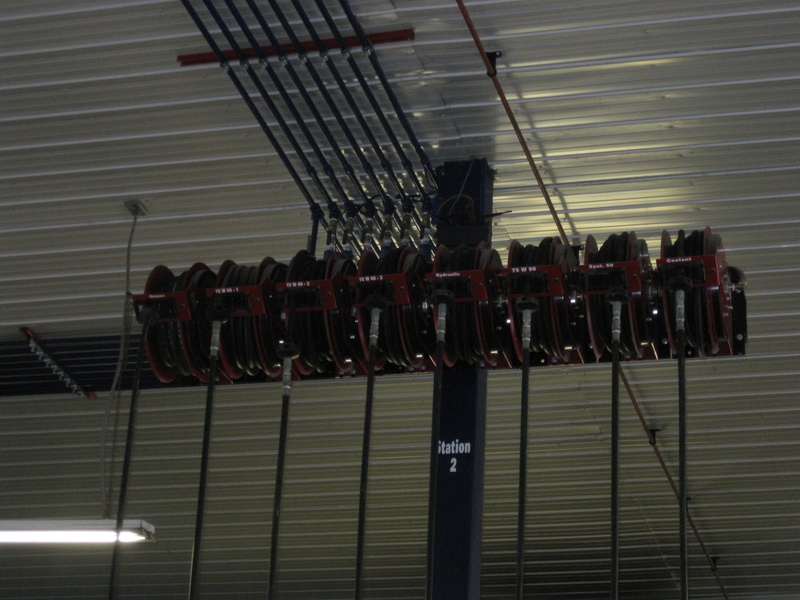 2 post car Lift, 4 post Truck and Bus Lifts, an impressive range of tire changer, wheel balancers and wheel aligners. 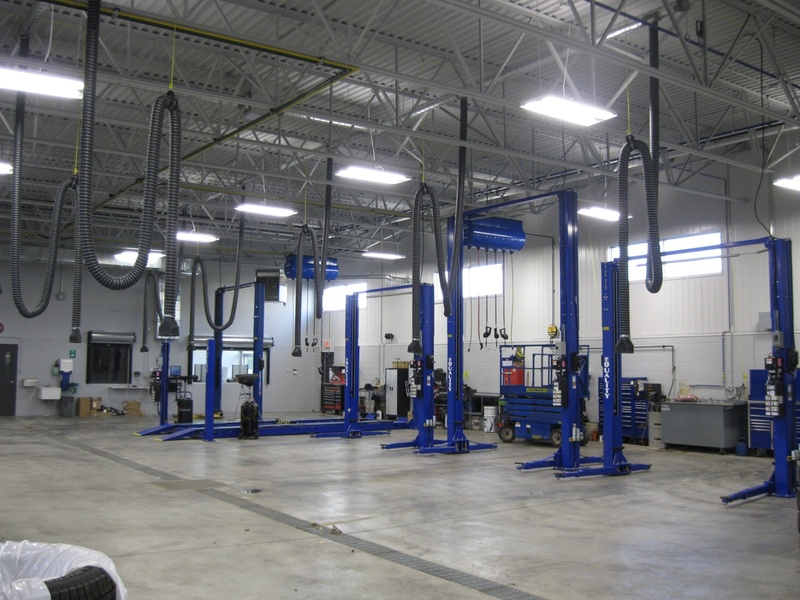 Exhaust extraction equipment to service any situation from a single bay to a multi-bay automotive dealership. Garage Cabinets, Wall , Ceiling and work surffaces. Equilube's annual service shedule will record your servicing to ensure that all your equipment servicing requirements are met. 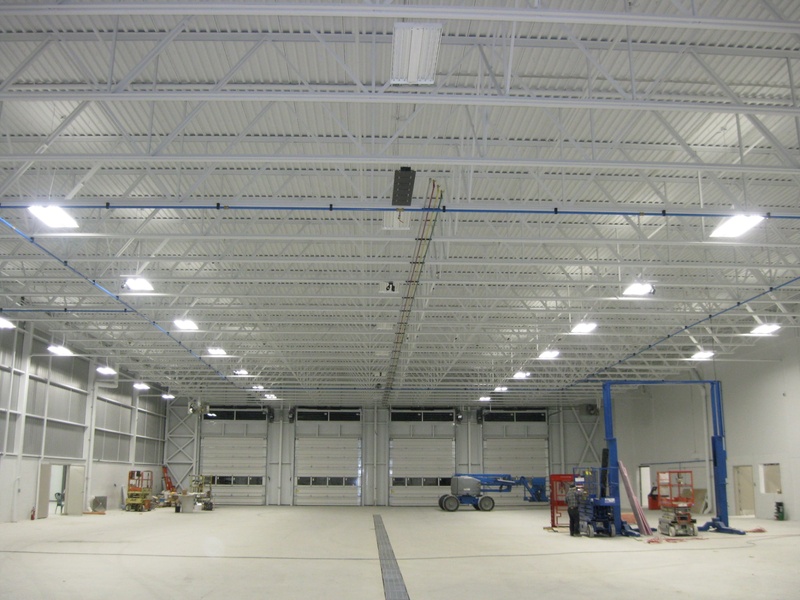 No equipment installation or servicing job is too large or too small. whit a comprehensive stock of spare parts you can be confident of expert backup to keep your equipments in peak operating condition. Equilube is one of the only companies to have support for its own product range with its own technicians. Other companies in this field are reliant on external contractors. We offer a variety of service packages tailored to your requirements from emergency repairs to preventative maintenance programs through to our full maintenance packages. Our factory trained, professional service technicians understand that keeping your equipment running is the most important thing to you, the customer. Client desires that the Equipment be maintained in good working order. Such maintenance services is to include periodic inspections; routine, scheduled repairs and replacements of parts as needed; and emergency repairs made whenever any of the Equipment breaks down unexpectedly. Adequate upgrade of your existing equipments can significantly enhance your dispensing equipments, waste oil handling equipment, on car service equipments backup power systems overall reliability. Equipments Upgrade & Trade-in Options. We provide upgrade and trade-in options for oversized, undersized, obsolete or faulty equipments. This helps you recover some value on old equipments when upgrading to a new product. Contact us to discuss the best equipments solution for your requirements. By providing your email address you agree to receive digital communications from Equilube Inc. You may unsubscribe at anytime.